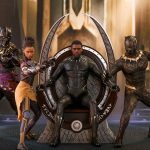 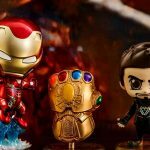 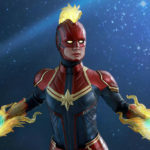 You know a movie is big, or going to be a hit when Hot Toys started to dole out collectible 1/6th scale action figure of it before the movie hits the theaters. 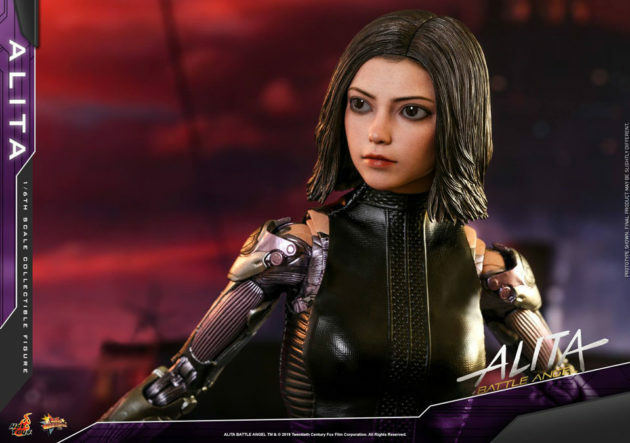 Not that I am forecasting Alita: Battle Angel will be a hit, but it could be since Hot Toys has surprised most people with an Alita 1/6th Scale Collectible Figure. 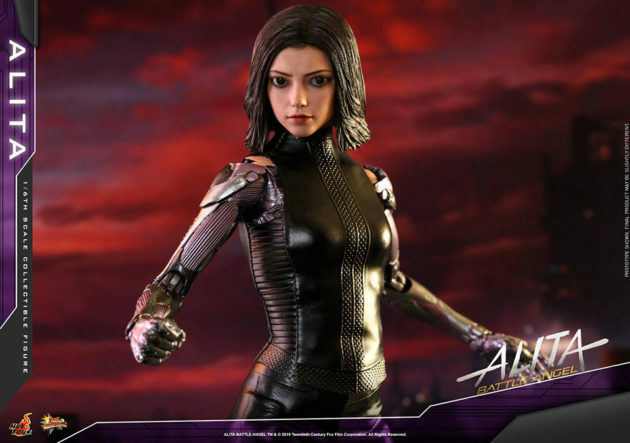 The figure is, of course, the cyborg protagonist herself Alita. Alita: Battle Angel Alita 1/6th Scale Collectible figure stands about 27 centimeters (a little over 10 inches) tall and boasts movie-accurate details, including a newly developed, hand-painted head sculpt with separate rowing eyeballs, an insanely detailed body highlighting the complex mechanical design, custom tailored textured outfit, a blade, a heart attachable to the body, and multiple interchangeable hands and feet to go with the cyborg body. A few other features include movie-accurate facial expression and makeup, dark brown color medium length hair sculpture with magnetic feature, over 30 points of articulation, and enhanced articulations that allow for highly flexible movement (as Alita should be). 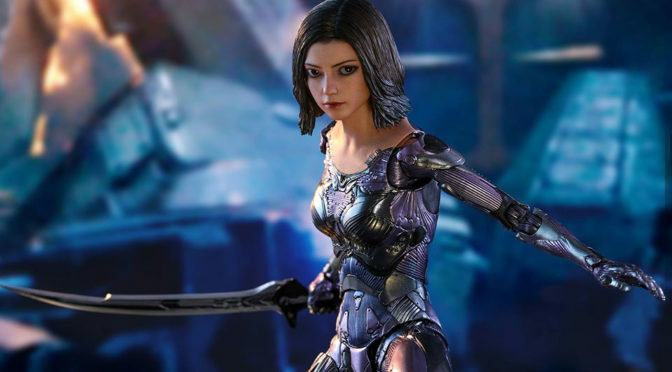 Rounding up the collectible is with a ruin city-themed diorama inspired by the battle scenes with transparent pole, character nameplate and movie logo. 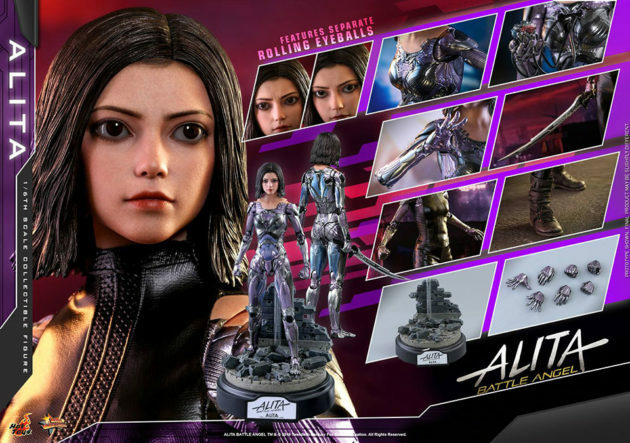 Hot Toys Alita: Battle Angel Alita 1/6th Scale Collectible Figure is available for pre-order for $251 from Sideshow. 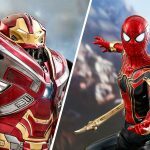 As always, the collectible won’t ship until later this year.